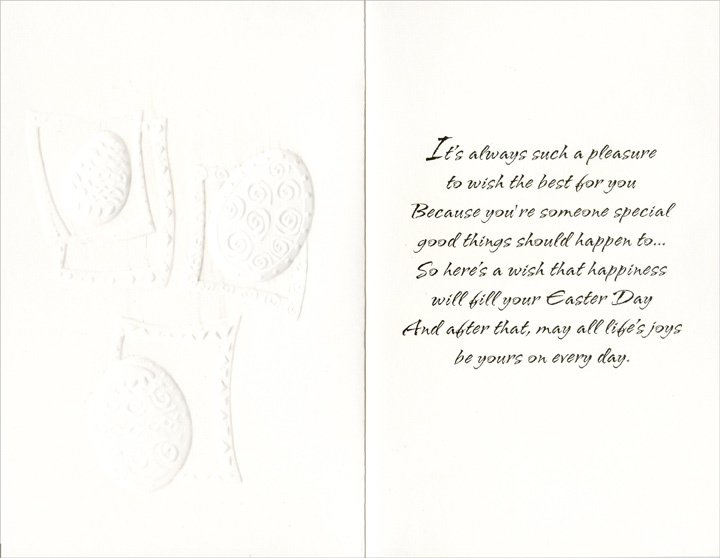 The embossed imagery creates a 3D look and feel to this Easter card for Son-in-Law. 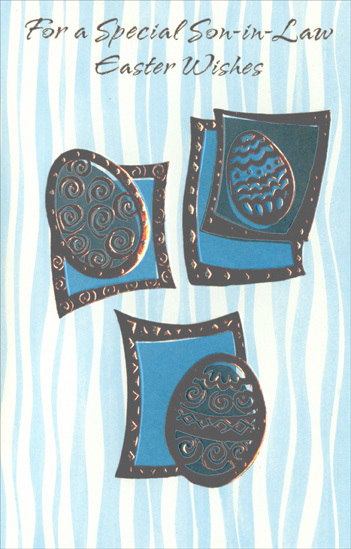 The silver foil enhances the look of depth by reflecting light and casting more shadows. Made in the USA.